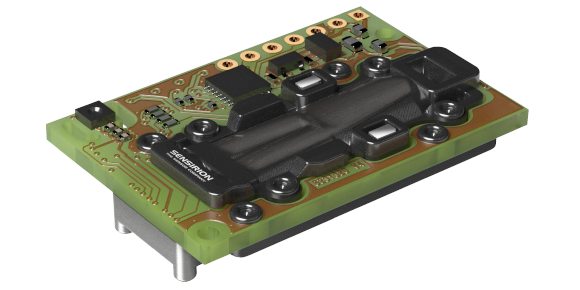 Sensirion's CO2 sensor is based on dual-channel nondispersive infrared (NDIR) technology. 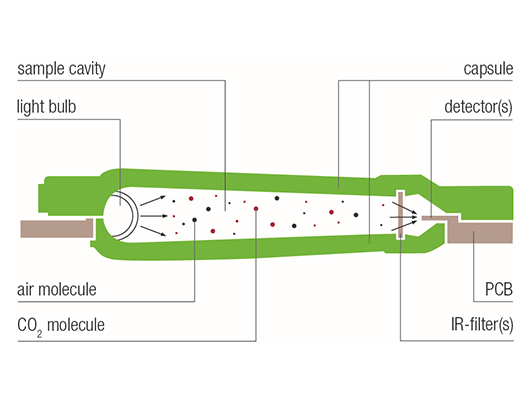 CO2 concentration is measured as a function of infrared light absorption. 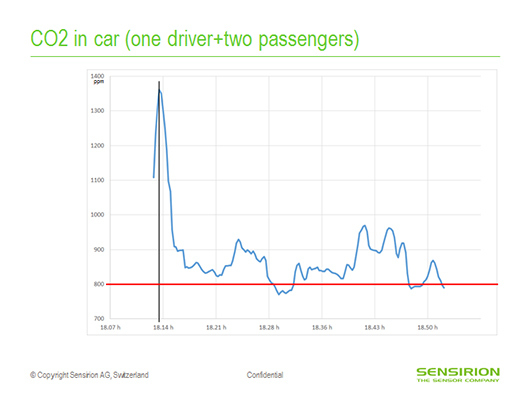 In a real life test drive the CO2 level with three persons in the car with airconditioner set to «automatic mode» was mostly above 800 ppm during the 40 min road trip (figure 2). 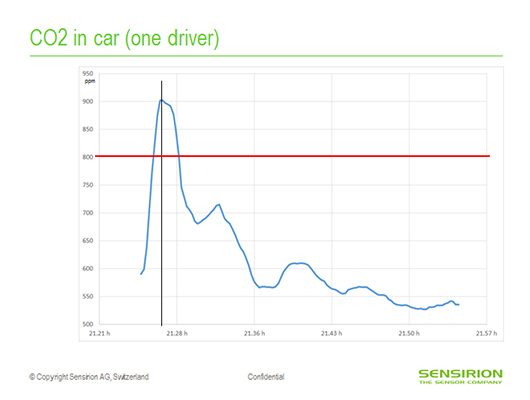 In a real life test drive the CO2 level with one person in the car with airconditioner set to «automatic mode» was generally below 800 ppm during the 30 min road trip (figure 3). The measurements demonstrate that the air is reasonably fresh in A/C automatic mode for one person, but goes well above 800 ppm with three persons in the car. A CO2 sensor would allow to actively control CO2 level in a car reducing risk of driver cognitive function impairment due to high CO2 concentration. Please refer to Sensirion's website for more information about Sensirion's CO2 sensor.